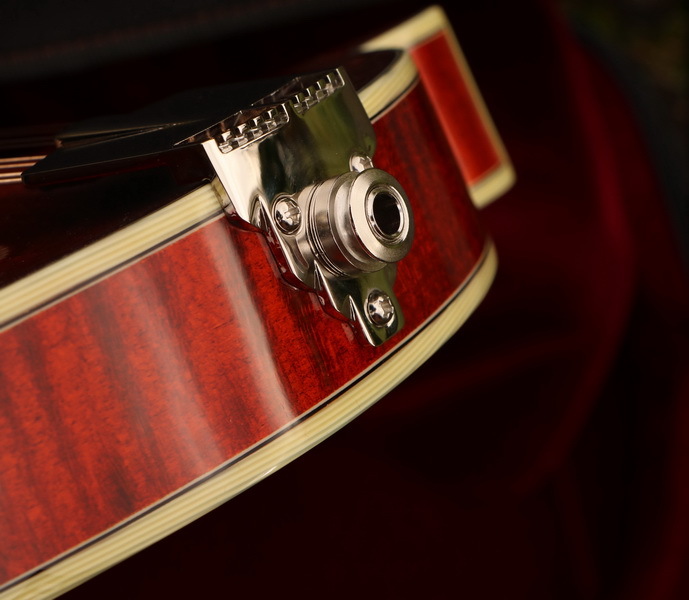 Informationen zum Produkt "Eastman - MD815PGE KuK Pickup F-Style"
A delight for the eyes and ears. All models now feature solid hand-carved Adirondack spruce tops for outstanding volume and tone. Standard features include: highly flamed solid hand-carved maple back/sides, ebony fretboard/bridge, bone nut, fully bound body/fretboard/headstock. The MD815PGE has a high-gloss nitrocellulose lacquer finish.